Discussion in 'Cams, Heads and Valve Trains' started by grumpyvette, Oct 2, 2008. Cylinder Pressure Note: youll generally want to try hard to maximize the useable compression as the higher the compression before you get into detonation the more efficiently the fuel can be burnt and the more torque the engine can produce, if limited to pump high test 92-93 octane fuel,165 psi # of cylinder pressure is about the best cylinder pressure for Iron heads with 92-93 octane, using pure un-ethanol laced fuel, gasoline. 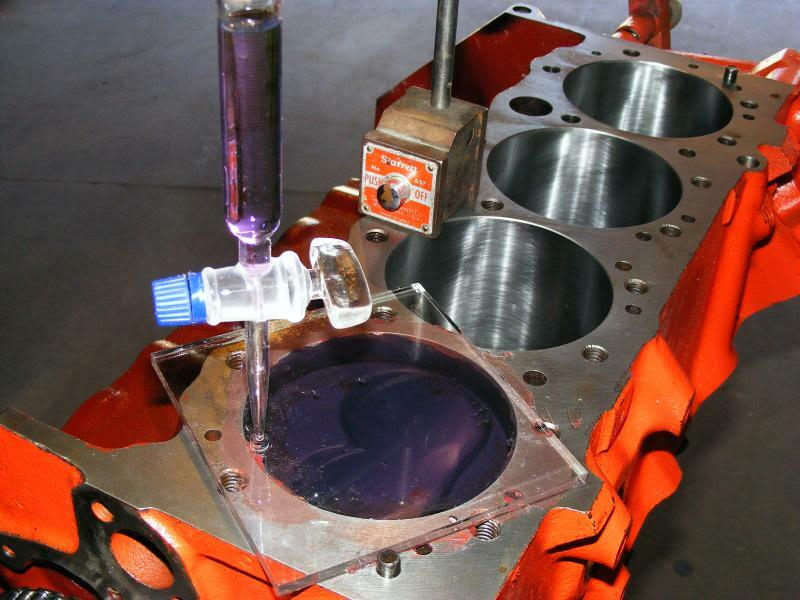 while the faster heat transfer rate of aluminum cylinder heads will usually allow 190psi # as the upper limit or best for aluminum heads. if you have any engine and want too find the true compression you need to deal in verified fact, not assume what the manufacturers suggest is always correct. 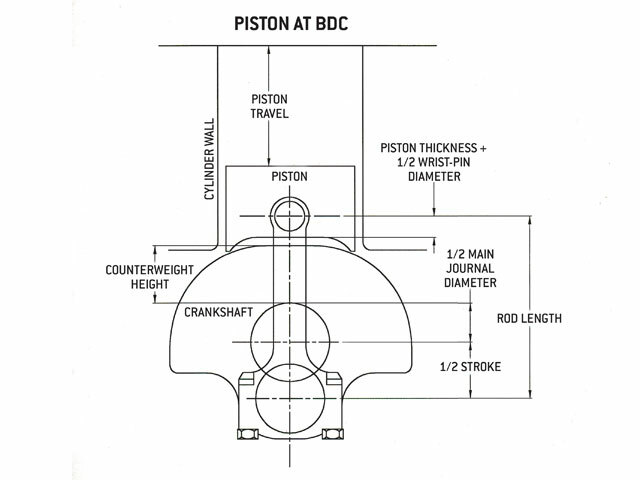 contain, minus the volume you,ve measured, the piston dome took up.then calculate the true compression. Oxymoron. Webster's dictionary defines this word as: "a combination of contradictory or incongruous words (as cruel kindness); broadly: something (as a concept) that is made up of contradictory or incongruous elements." Besides "cruel kindness" here are some other examples: adult male, authentic replica, honest politician, jumbo shrimp, and military intelligence. For a long time, people would put the phrase "budget big-block" in there, too. But a little research proved there are very good values out there for those building a Rat with an eye on cost conservation. In the last issue of Super Chevy, we went down the list of cylinder head manufacturers and got the latest dope from each company on their most popular off-the-shelf small-block cylinder heads. Mind you, we also informed each company that our aim was to search out their best "cost-conscious" cylinder heads. This month, we searched out those same parts for Chevy's fabled Rat motor. Yes, it's true that when one dives into the big-block waters, budget is a word that seldom comes to mind. Budgets, however, are like waist sizes-they vary from person to person. If only our wallets were akin to our waist sizes, what a wonderful world this would be. 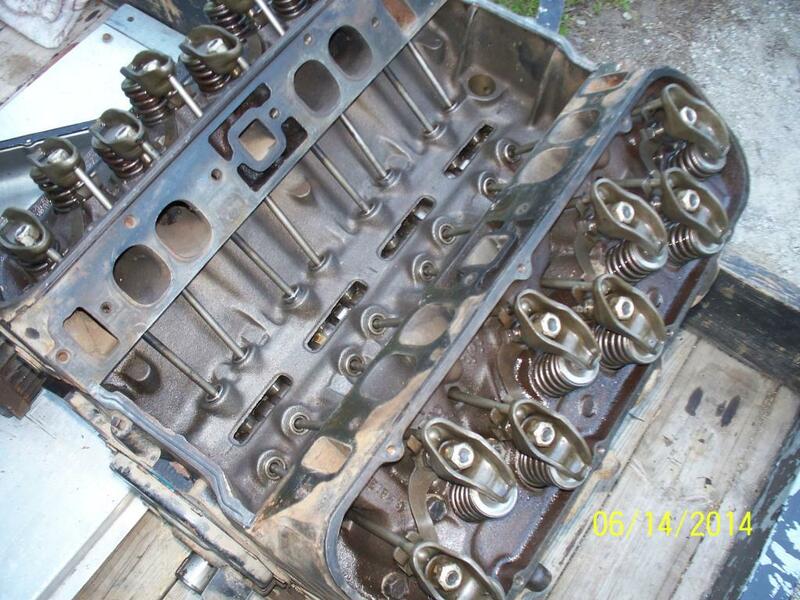 It turns out that purchasing a set of BBC cylinder heads won't require you to sell a kidney on the black market; they're more affordable than you may think. 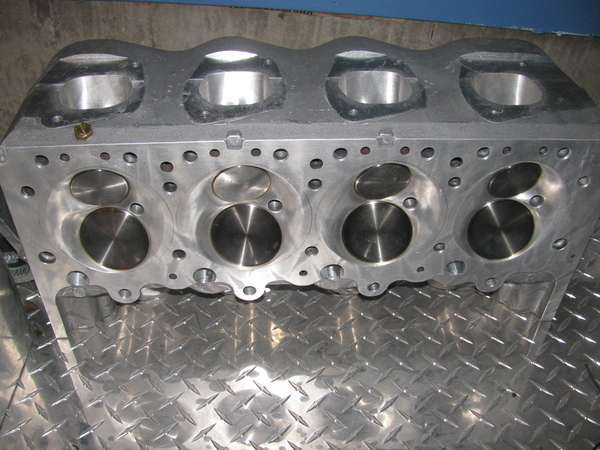 When purchasing a set of cylinder heads, most DIYers prefer the out-of-the-box, preassembled units. Unless you're running some insanely wild cam, the springs and valves in the preassembled heads are capable of delivering some great performance numbers over the OE-spec heads. In no particular order, here are the companies we contacted and the information they provided. World has a couple of BB heads that are perfect for the budget builder. 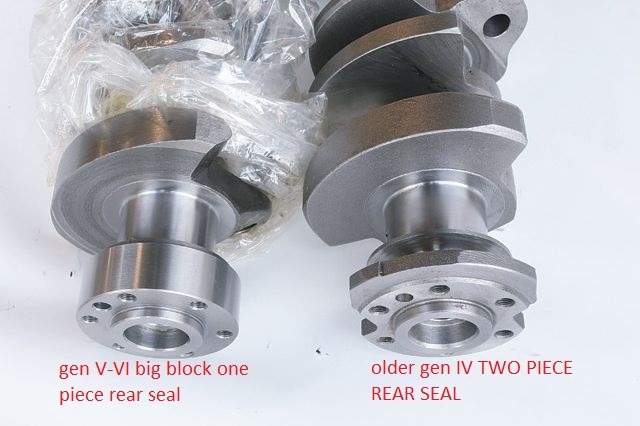 The first one is the assembled Merlin oval port cast iron head, with a 269cc intake volume, a 119cc combustion chamber, 2.300x1.88 valves and 11/32 guides. Out of the box these heads run about $720. The next step up is the Merlin III. This head features a 320cc intake chamber and opens up to a 345cc intake chamber. The combustion chamber, valves and guides are the same as the Merlin. An assembled set of the 345cc heads will run about $1,459. Racing Head Service knocked one out with its Pro Action cast iron heads. The Pro Action heads come in a 320cc and 360cc intake runner. Both heads feature a 119cc combustion chamber with intake valves (with hardened seats) that measure 2.250 and exhaust valves that measure 1.880. A pair of assembled 360cc heads built for a hydraulic roller cam runs about $1,810. The same set built for a mechanical roller runs about $2,064. 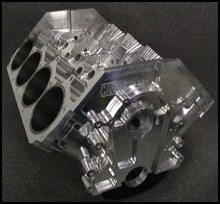 Millions have ordered parts from Summit Racing, but some may not be familiar with the fact that Summit also offers its own line of cylinder heads for the Chevy big-block. Summit has set of cast-iron heads that are ready to run from the moment you open the box. The Summit square port iron heads feature a 308cc intake runner with a 119cc combustion chamber, a 2.250 intake valve and a 1.880 exhaust valve with hardened seats. A pair of assembled heads runs about $1,291. 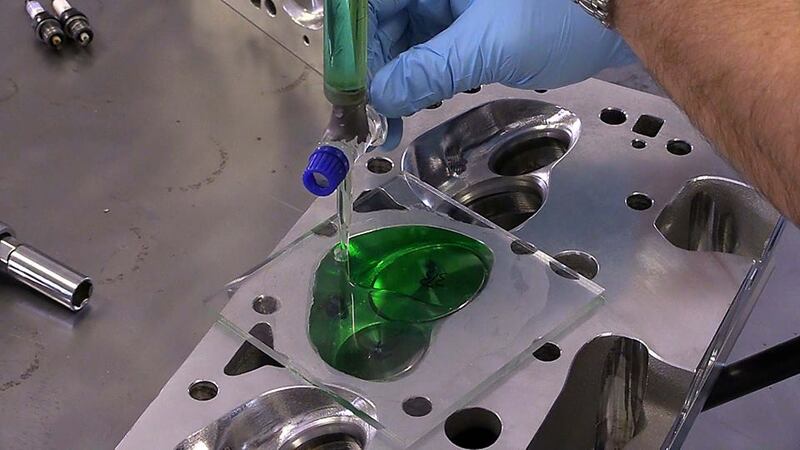 Brodix has a direct replacement for stock cast-iron heads. These heads from its Race Rite series are made from cast aluminum and are available in rectangular or oval port castings. Brodix has also designed the Race Rite heads to work directly with the stock pistons and intake manifold. The Race Rite heads come in two available sizes: the BB-R comes with a 294cc intake port while the BB-O comes with a 270cc intake port. Both heads have a 119cc combustion chamber, a 2.250 intake valve, and a 1.880 exhaust valve. An out-of-the-box assembled pair of the Race Rite heads runs approximately $1,939. 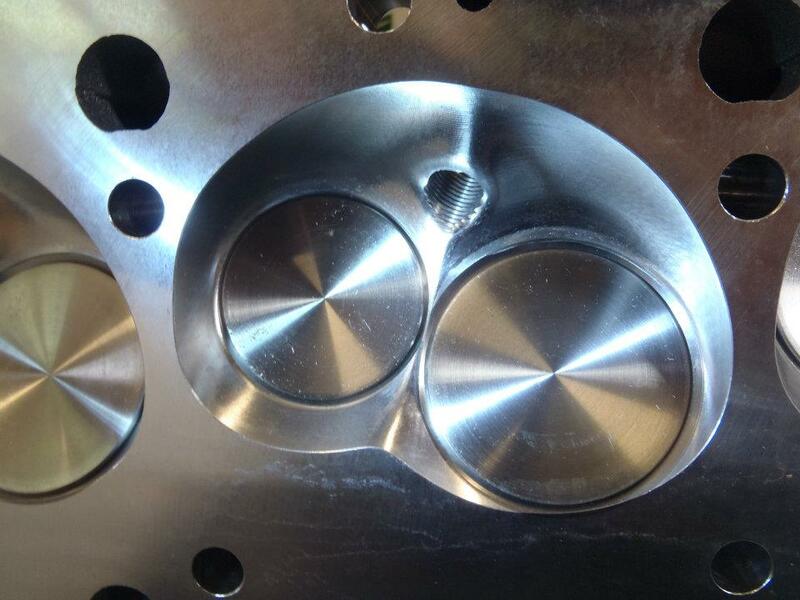 Holley gets it done with a pair of aluminum oval port heads that have been CNC-machined. They are made for engines made from 1965 to 1975 with EGR (pn 300-556), and without EGR (pn 300-554). The Holley heads have 261cc intake and 110cc combustion chamber that are designed for low compression pump gas use. These heads come with a 2.19 and 1.88 intake and exhaust valves and stock location exhaust ports. An assembled set of heads will run about $2,200. Jegs High Performance not only sells just about any performance part you can think of, it also sells its own performance Rat heads. Jegs "J" series of BBC heads are cast aluminum and CNC-machined for a precise fit. These square port aluminum heads feature 310cc intake runners, as-cast 119cc combustion chambers and raised exhaust ports (.625-inch). 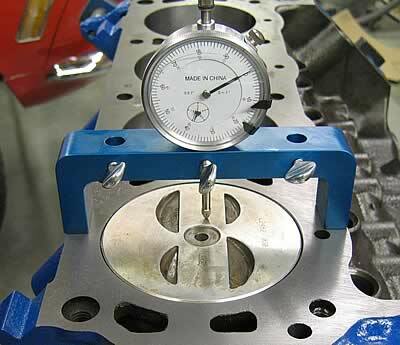 Jegs uses longer valves so you will need to check pushrod length. A pair of assembled "J" series heads retails at $1,779 (base price). AFR's Magnum heads are available with a variety of upgrades, ranging from intake port sizes starting at 305 cc all the way to 357 cc. The upgrades are almost too numerous to list, so we'll take a look at the as-cast, CNC bowl-blended, aluminum Magnum 325cc intake port head. This particular head comes with the standard 119cc combustion chambers, 2.250 intake valves and 1.880 exhaust valves. Should you desire a fully CNC'd set of heads from AFR, all you have to do is ask. A pair of the 325cc heads usually retails for around $2,485. The Edelbrock Performer series of cylinder heads really needs no introduction. The oval port aluminum Performer heads feature 290cc intake ports and 110cc combustion chambers with 2.19 and 1.88 intake and exhaust valves. The Performer is a great streetable head and retails for about $1,920. 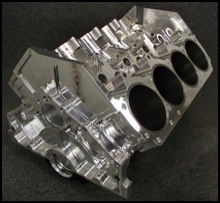 GMPP has a pair of great aluminum oval port heads featuring 290cc intake runners and 110cc combustion chambers and 2.250 and 1.880 intake and exhaust valves. The exhaust ports are in the stock location so there's no need to mess around with new headers. Out of the box, an assembled pair of these heads will run about $1,920. Trick Flow also has a few big-block cylinder heads, but we will focus on its premier budget cylinder head, the oval port aluminum version. 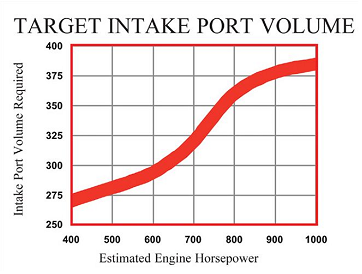 It helps build great low- to mid-range horsepower. These heads have 280cc intake runners and 113cc combustion chambers. An assembled set of these heads runs approximately $1,925. Powerhouse surprised us with a set of cast aluminum big-block heads that feature 320cc intake runners and 115cc combustion chambers. The intake and exhaust valves measure in at 2.25 and 1.88 respectively. These heads are assembled for hydraulic flat tapped lifters, and upgrades are available, so give them a call. An assembled set from Powerhouse will cost $1199. 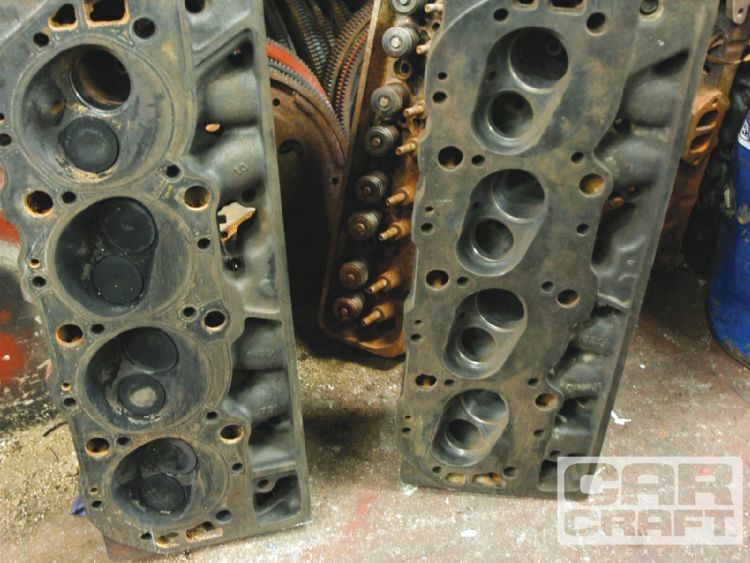 Editor's note: Due to circumstances beyond our control, the following text and photos from part 1 of this story (which dealt with small-block cylinder heads) were left out of the May issue. Here is the conclusion of Head Trip, Part 1, in its entirety. We apologize for the error. These heads are designed to support 425-500 hp in 350-406ci engines. 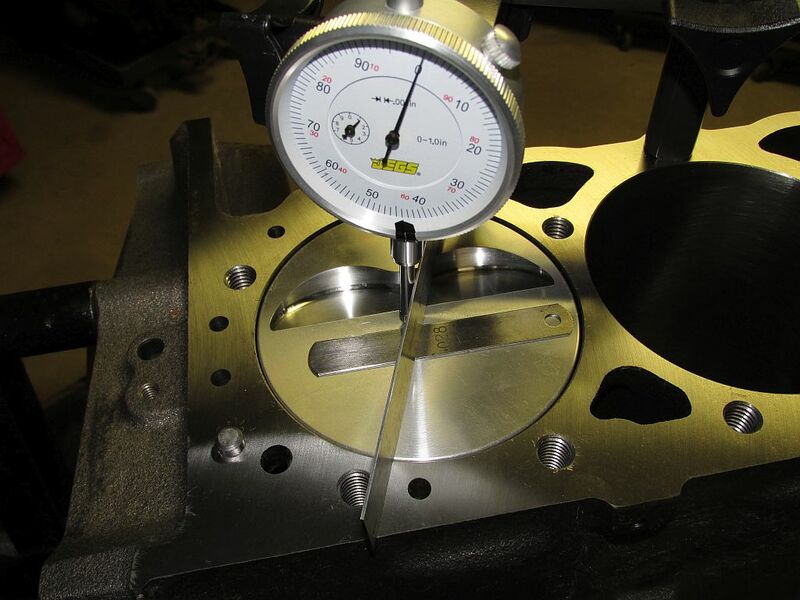 They feature large, high quality stainless steel 2.055-inch intake and 1.600 exhaust valves. According to Jegs, the intake port cross-section was designed for good mid-range power. The heads work well with cams featuring duration of 210-240? @ .050 inches. 197cc Intake runners, 1.440-inch springs, 1.875-inch installed height, 130-pound seat pressure, 3/8-inch studs, and 5/16-inch guideplates included; 2.055-inch intake/1.600-inch exhaust. Cost: $1,118 (197cc head). Jegs also has a 220cc high-flowing aluminum head. It features 220cc intake runners, 240 pounds seat pressure, .680-inch maximum lift, 64cc CNC-machined combustion chambers with angle plug design, 10? locks, steel retainers and bronze guides, 2.100-inch intake and 1.600-inch exhaust stainless steel valves, 7/16-inch rocker studs and 5/16-inch guide plates. Cost: $1,372 (220cc head). Are you looking for a good set of heads to up the performance factor of your Vortec engine? 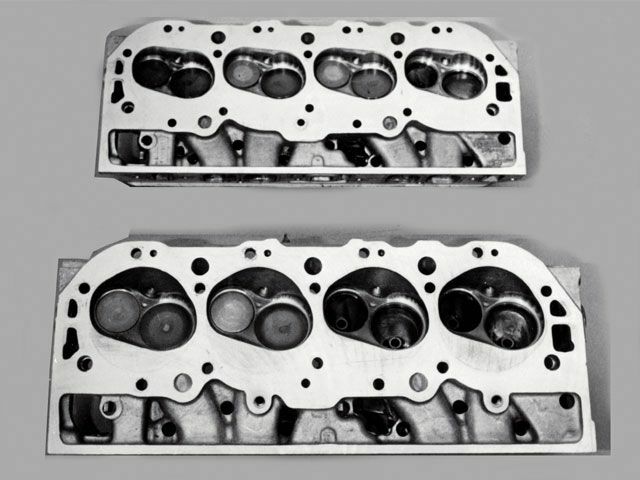 Summit Performance Vortec cylinder heads have what it takes to get the job done. Featuring wide-open intake runners, efficient combustion chambers, and a high-performance valve job, these heads deliver plenty of power-building airflow. Made from superior iron alloy, these heads come ready-to-run for improved performance straight out of the box. Specs: cast iron cylinder head material; combustion chamber volume 67cc; intake runner volume 170cc; intake valve diameter 1.940 inches; exhaust valve diameter 1.500 inches; maximum valve lift 0.520 inches; outside diameter of outer spring 1.250 inches. Cost: $649 (both 170cc and 200cc). 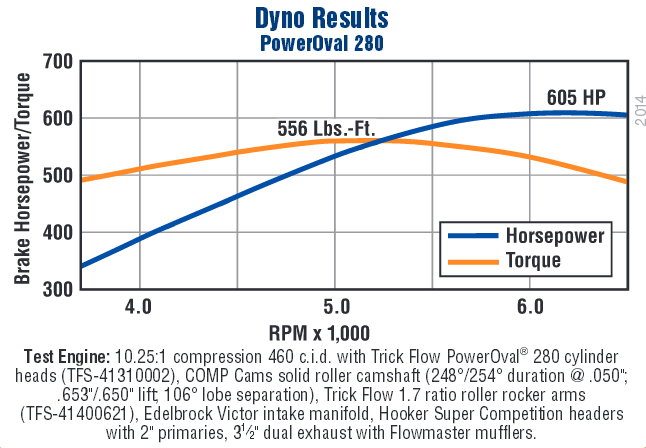 Dyno-tested on a 383ci engine, Trick Flow's 64cc 23? 195cc aluminum cylinder heads made 460 hp and 451 lb-ft of torque-40 more horsepower and 11 lb-ft more torque than the same engine with GM L98 Corvette heads. The 195 heads are a direct fit, high-performance replacement for most original equipment factory heads, and accept most factory accessories. They feature a choice of 62cc as-cast, or 64cc and 72cc CNC-profiled combustion chambers, 2.02/1.60 stainless steel valves, hardened exhaust valve seats for unleaded gas, and 195cc intake ports with a high-velocity, small cross-section design to promote low-rpm torque without sacrificing higher-rpm horsepower. The heads are available with three spring sizes: 1.250-inch single for cams up to .480-inch lift; 1.470-inch single for cams up to .540-inch lift; and 1.460-inch dual for cams up to .600-inch lift. 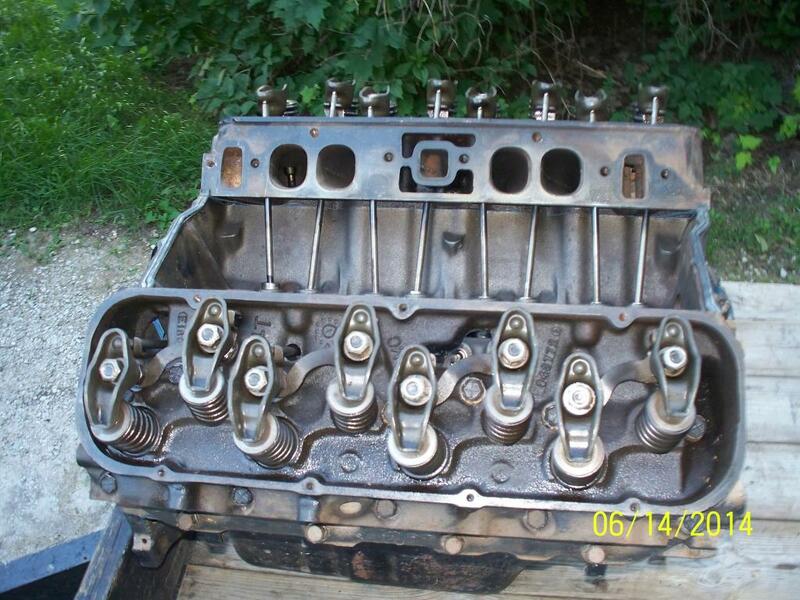 They come fully assembled with valves, valve springs, locks, retainers, rocker arm studs, and guideplates. The heads are 50-state emissions-legal under CARB E.O. number D-369-4. Cost: approximately $1,249 (assembled). naturally you'll need to match the port cross sectional area, length, and plenum to the intended displacement and rpm band, and cam timing, but just assuming a swap from rectangular port to oval will always result in more torque will not always be true over the whole power band, especially if the rest of the combos designed for a totally different rpm band than the heads you've selected. 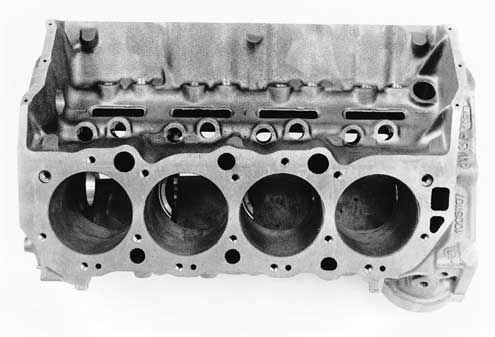 It should be obvious that comparing edelbrock oval ports, or mildly reworked stock heads to AFR 305-357cc heads, and an engine with a hydraulic roller cam, is hardly a valid comparison, to an engine with a solid roller , or flat tappet cam, using higher compression and the better rectangular port heads, thats designed to run a couple of thousand rpm higher on average. 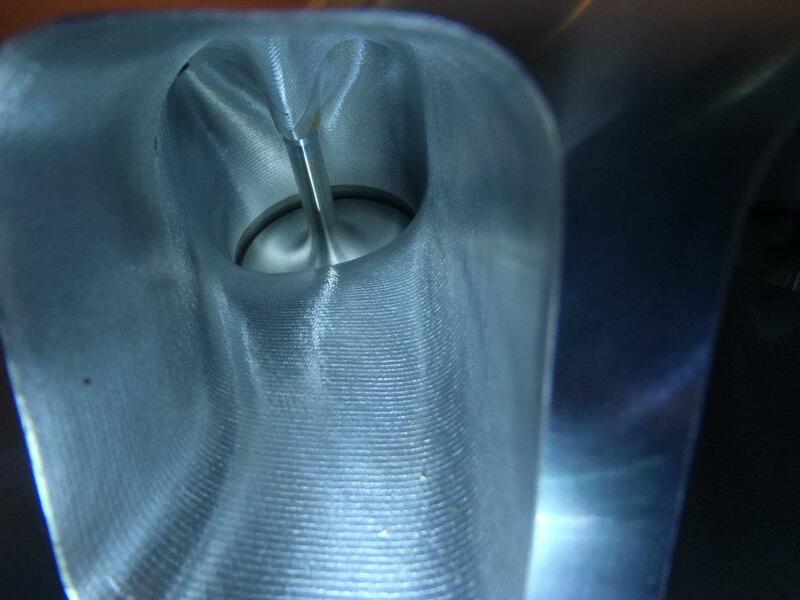 thus increasing the cylinder fill efficiency especially at upper rpms. 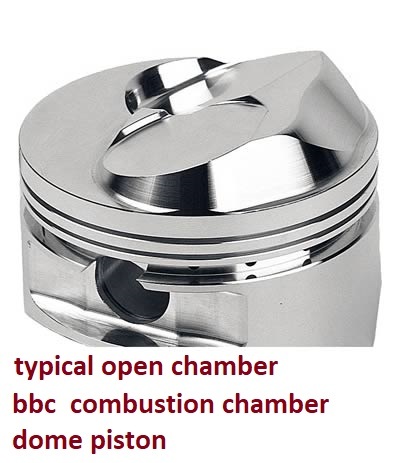 the dome higher compression ratio pistons for both combustion chambers are similar in shape to the combustion chambers they are designed too be used with. 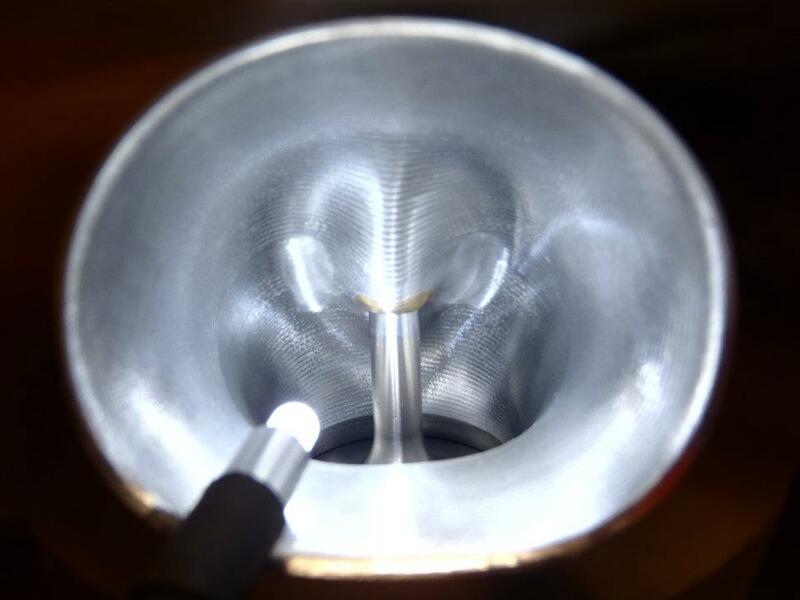 of the closed chamber dome is marginally restrictive to the flame front propagation. no, if you have any engine and want too find the true compression you need to deal in verified fact, not assume what the manufacturers suggest is always correct. 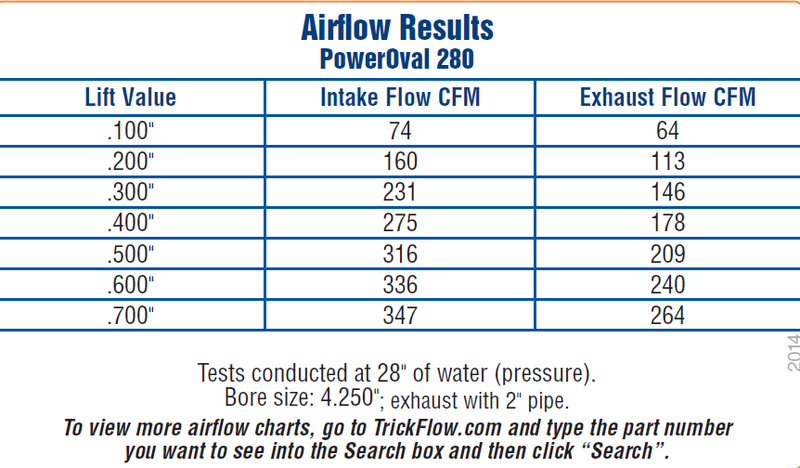 a back-to-back flow comparison comparing factory "advertised" numbers with actual flow numbers from a SF600 with a FlowCom and Audi swirl meter, 4.500 bore fixture, and see just what the truth is. 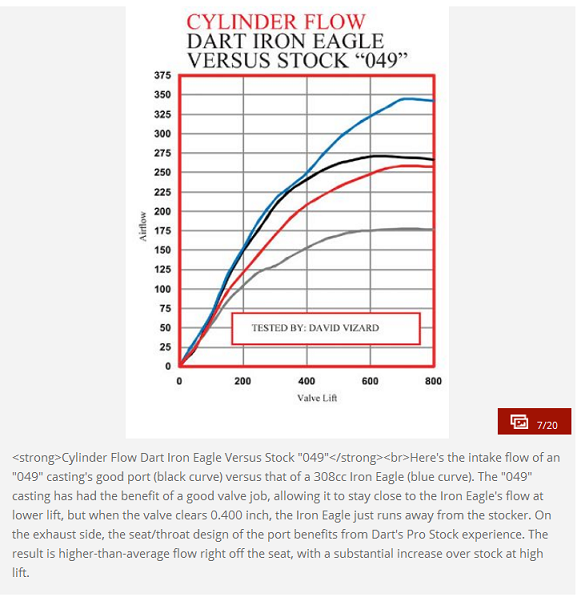 Dart 310, valve job from Dart, REV 2.25 intake no backcut, REV 1.88 Inconel ex (tulip style valve), advertised intake @ 28" .800 (all they give you from Dart) 369 cfm. 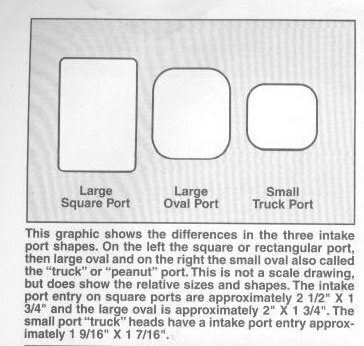 The left port is not a mis-print. Very disappointing. Next: AFR 305 as-cast, assembled from AFR with their valves, 2.25 intake with backcut (angle unknown) AFR 1.88 exhaust. The bowls are nicely CNC blended but transition from the seat to the chamber is terrible. The exhaust port I believe suffers far worse because of this than the intake. 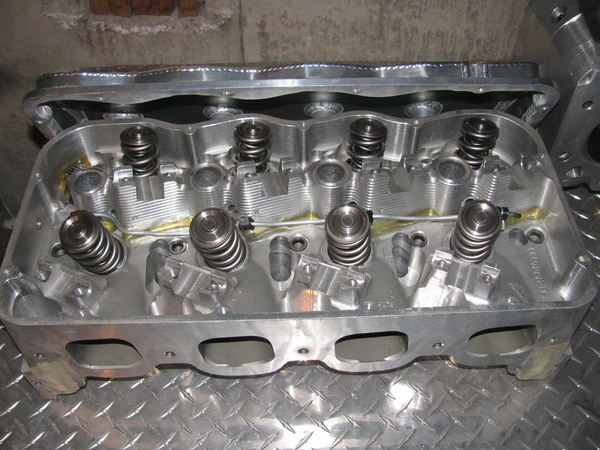 Dart 308 cast iron cylinder head. Perfect for: Entry Level Street or Street/Strip where front end weight is not an issue. World Products Merlin Oval Port Iron Heads. 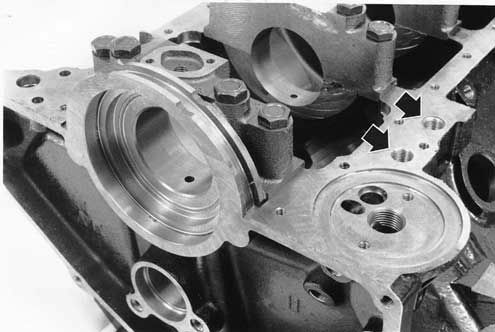 Dart 345 cast iron cylinder head. RHS Pro Action 320 Hydraulic Roller cast iron cylinder head. 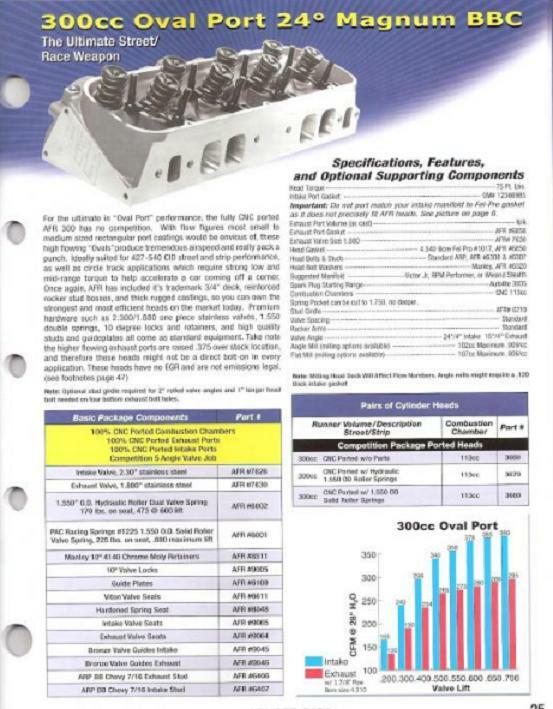 Patriot Performance Freedom Series 2216 aluminum cylinder heads. RHS Pro Action 320 cc Solid Roller cast iron cylinder head. Ouch !! !........that much for a bare head....wow. This aluminum head can only be purchased from Reher-Morrison. 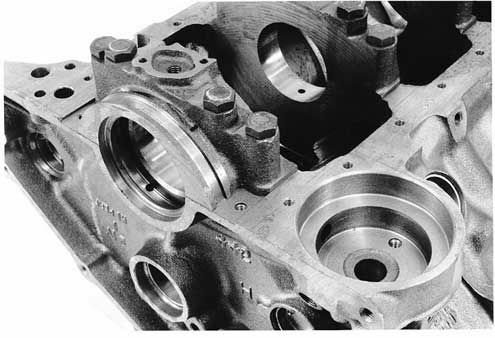 It is a true proprietary cylinder head design exclusive to Reher-Morrison. It is like no other spread port head on the market. Works great with Nitrous! This is not the same as any other 12 degree on the market. 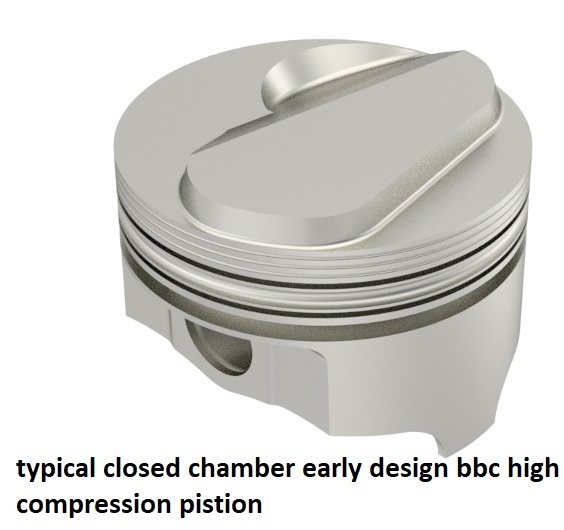 The Raptor is a break-through in BBC spread port cylinder head development. Raptor cylinder heads are designed by Reher-Morrison and contain features and benefits not found in any other spread port heads. 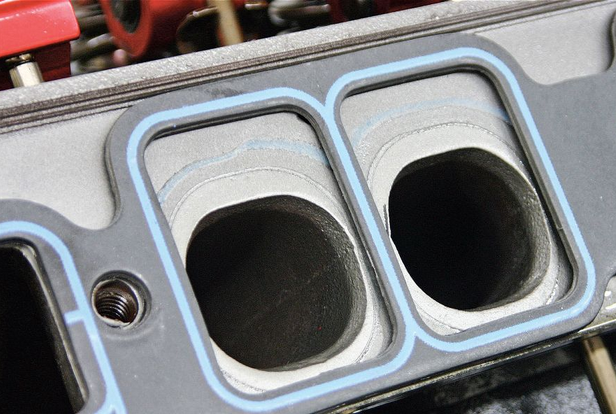 These are cutting-edge Pro Stock style intake ports utilizing High velocity/Wet flow technology found in no other Big Block Chevy head on the market today! 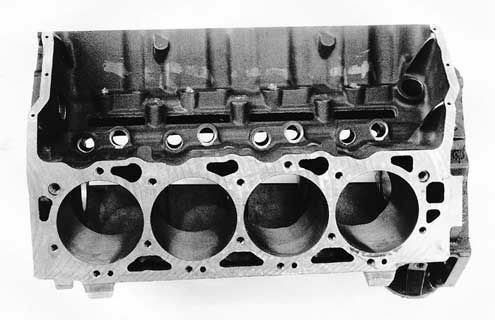 With over two years in development Reher-Morrison has created a cylinder head capable of producing more power in a Big Block Chevy than was previously possible. These heads are featured in the RMRE Super Series 12° 565, 588, 622, and 665. 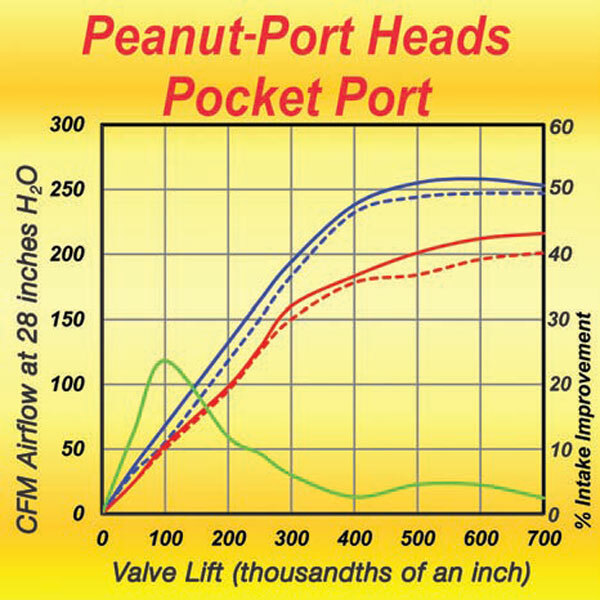 423+cfm @.500"/525cfm @.800"/535cfm @.900"/540cfm @1"
Flows more air per valve size than any other spread port cylinder head! 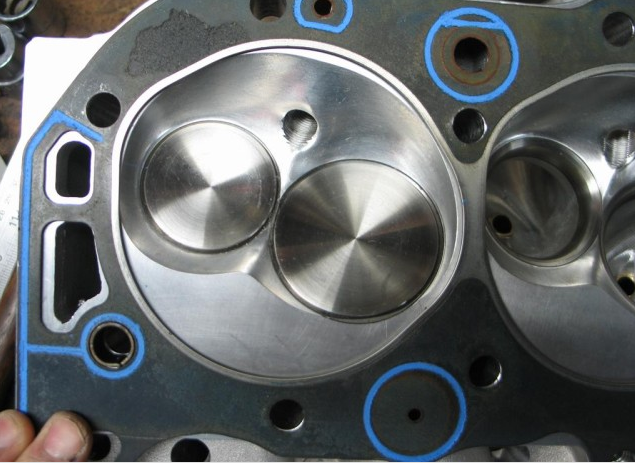 Uses standard BBC spread port cylinder head components, less costly to update! Price: $6,895.00 - Call to order! 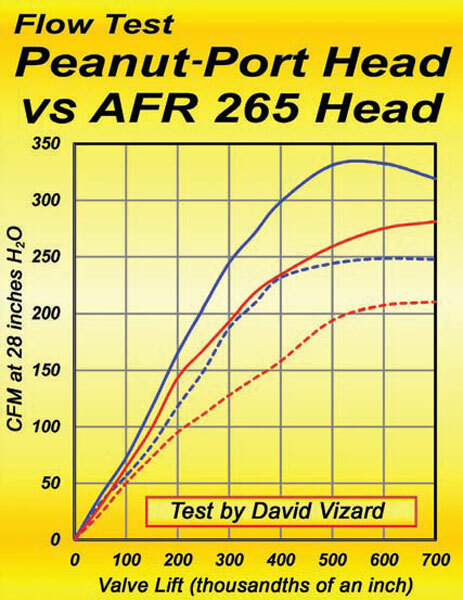 AIR FLOW RESEARCH has come out with a new large oval port head thats sized to match the street/strip use of a 477-509 displacement big block to maximize mid and upper mid rpm torque and power, this should be a good choice on a street driven performance application. 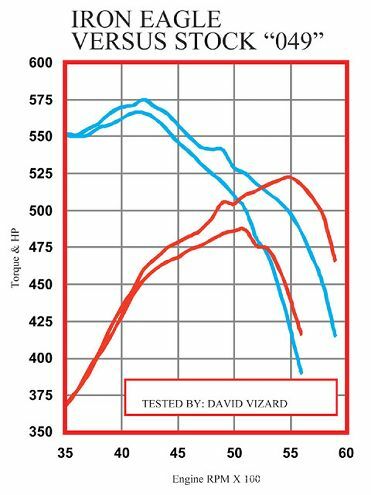 These figures are taken on a "real world" 4.310 bore fixture (they would have looked even stronger on a 4.500 or 4.600 bore) and the exhaust is tested with a curved 2" pipe that very much resembles a header (the catalog shows 1.875 which is incorrect....just an FYI). Intake port flowed with a proper fitting radius plate of course (3/4 radius). Note these numbers are conservative if anything....my prototype goes almost 10 CFM more than this and we wanted to sandbag a little to cover tool life and stacking of tolerances (a few thou) on the CNC machines. Even CNC machines can produce slightly different results from head to head / machine to machine, but if you stay on top of tool life and fixture locations, the repeatability is very impressive. To be honest, it's an art form we are in a continuous state of improving (something we tend to hyper focus on) and we have made huge strides in that aspect of our business in the 11 or so years I have been here to witness and be part of. What only a few years ago might have been "acceptable" now isn't....we constantly try to push ourselves to higher standards and the quality of what we ship has never looked better. 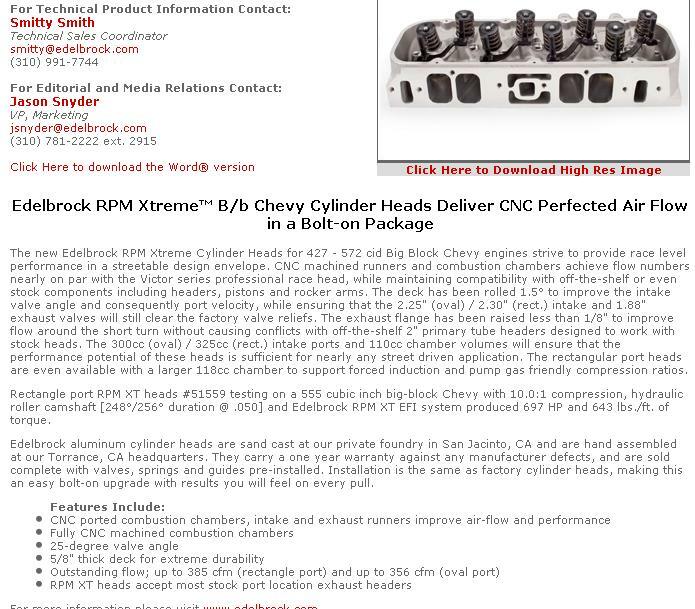 Edelbrock has developed a new set of cylinder heads for 427-572 cid Big Block Chevy engines named ‘RPM Xtreme Cylinder Heads.’ The heads produce flow numbers competitive with the Victor series race heads, but they still maintain compatibility with off-the-shelve components. 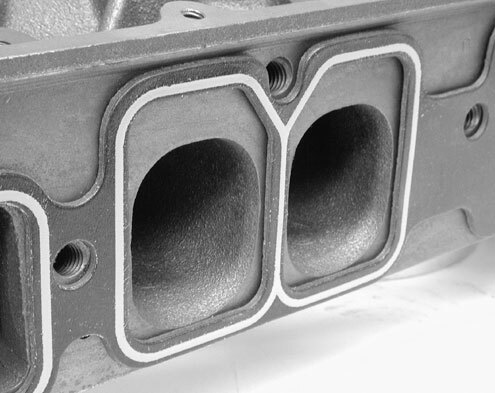 The rectangular port heads are available with a larger chamber for forced induction and pump gas motors. The new Edelbrock RPM Xtreme Cylinder Heads for 427 – 572 cid Big Block Chevy engines strive to provide race level performance in a streetable design envelope. CNC machined runners and combustion chambers achieve flow numbers nearly on par with the Victor series professional race head, while maintaining compatibility with off-the-shelf or even stock components including headers, pistons and rocker arms. 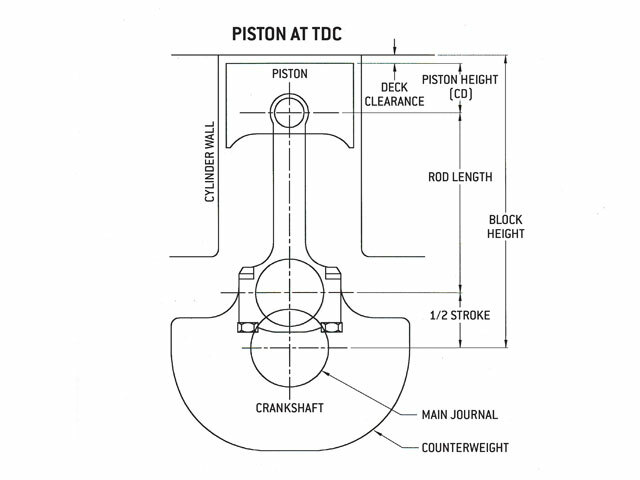 The deck has been rolled 1.5° to improve the intake valve angle and consequently port velocity, while ensuring that the 2.25″ (oval) / 2.30″ (rect.) 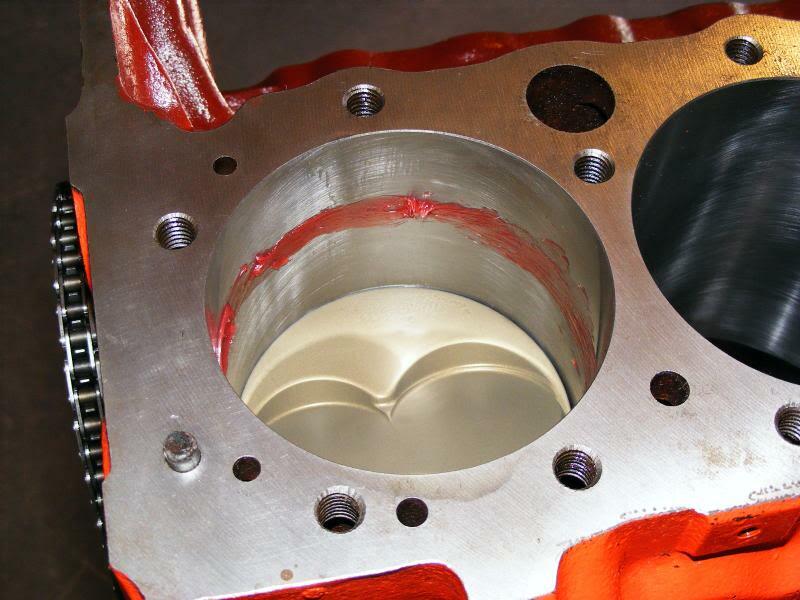 intake and 1.88″ exhaust valves will still clear the factory valve reliefs. The exhaust flange has been raised less than 1/8″ to improve flow around the short turn without causing conflicts with off-the-shelf 2″ primary tube headers designed to work with stock heads. The 300cc (oval) / 325cc (rect.) intake ports and 110cc chamber volumes will ensure that the performance potential of these heads is sufficient for nearly any street driven application. The rectangular port heads are even available with a larger 118cc chamber to support forced induction and pump gas friendly compression ratios. 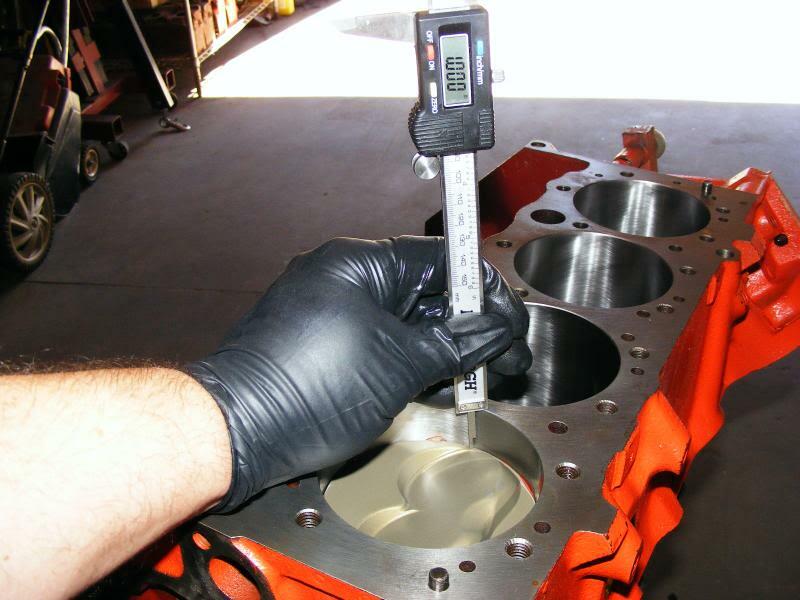 Rectangle port RPM XT heads #51559 testing on a 555 cubic inch big-block Chevy with 10.0:1 compression, hydraulic roller camshaft [248°/256° duration @ .050] and Edelbrock RPM XT EFI system produced 697 HP and 643 lbs./ft. of torque. Edelbrock aluminum cylinder heads are sand cast at our private foundry in San Jacinto, CA and are hand assembled at our Torrance, CA headquarters. They carry a one year warranty against any manufacturer defects, and are sold complete with valves, springs and guides pre-installed. Installation is the same as factory cylinder heads, making this an easy bolt-on upgrade with results you will feel on every pull.